Your website is up, now what? According to Australian Bureau of Statistics, there are 13.7 million internet subscribers in Australia. Most of the time, Aussies do their research online and review the product before they decide to purchase it. With that being said, it’s not enough that you have a website with all the information about your company, your products and services. You need to drive traffic and optimize your website to rank high on search engine and reach out your audience. By creating high-quality contents and finding the right keywords that your audience are using when searching online. Take the content you’ve created, share and submit it to Google or on any search engine of your choice. But wait, that doesn’t stop there! SEO or Search Engine Optimization is the process of getting traffic to your website through free, organic or natural search engine results. Its main goal is to satisfy internet users by providing them with the information that they are looking for. Related: Cost Efficient SEO Marketing? Is That Even Possible? Search engine optimization is an ongoing process. Sharing and submitting your content on search engine isn’t enough. Once your website has achieved a higher ranking on search engine, you need to continuously update it. By constantly posting high-quality contents that are relevant to your audience and submitting it to Google. Why? Simple. Internet users will continue to search contents that are high in quality, unique and updated in order to maintain that high ranking on search engine. Have you heard of the saying, “Content is the King”? Content holds the most important position when it comes to improving search engine rankings. However, it is important that the content should always be relevant and easy to understand. Through your content, you can enlighten your audience and impress them with how knowledgeable you are in your industry. Keywords are also important. It is necessary to make your content rich in keywords. It should fit in well with the flow of your text. When finding for the right keywords, you should look for words that your potential users are expected to use when searching online. At the same time, the keywords that will be used should fit in well with the flow of the text. Chosen keywords should best describe the products and services that your company provides. It should draw less than 5000 competitive website results but is searched at an average of 1000 times per month. It must not be so unique that a general user would not even think when searching online. Because of the demand for time and effort, many businesses would consider looking for partners when it comes to their SEO needs. 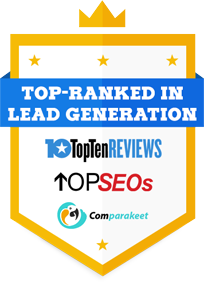 However, there are many SEO consultants who claim to provide top rankings with search engines within a few days and they undoubtedly, prove themselves right in claiming that. But, marketing managers should remain alert not to be carried away by such claims. So if you want to maintain a high ranking on search engine, you should look for companies who use ethical techniques to help you achieve the top position, provide your audience with the right information and generate higher profits to avoid any inconvenience. Dial +61 2 9037 2248 to learn more. Generating Leads From Trade Shows and Magazines Considering Lead Generation for Cleaning Services?